ST. PETER, Minn. – The No. 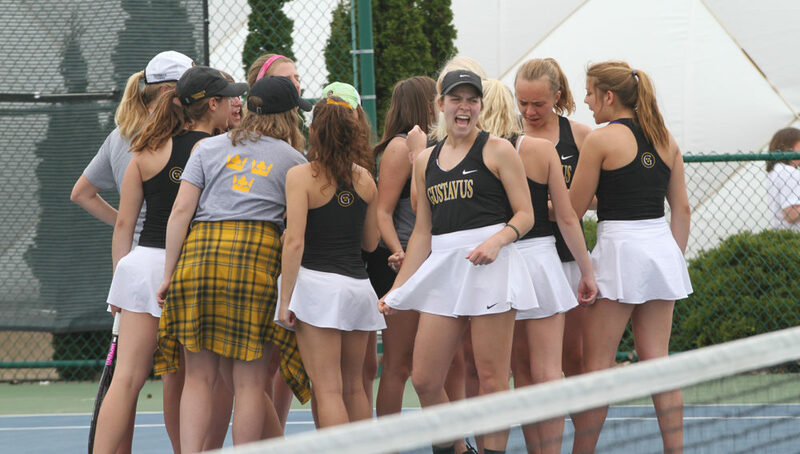 1 seeded Gustavus women’s tennis team defeated the No. 4 seeded Bethel University 5-0 Thursday afternoon at Swanson Tennis Center to advance to its third consecutive Minnesota Intercollegiate Athletic Conference Playoff Championship. After going up 3-0 with a sweep in doubles play, the Gusties won by decision with singles victories at the No. 1 and No. 4 positions. The Gusties previously faced the Royals just last weekend, prevailing 7-2. The Gusties (16-7 overall) will face the winner of No. 2 seed Carleton College and No. 3 seed St. Thomas in search of their third-straight and eighth overall MIAC Playoff Title. The match is scheduled for a 1 p.m. start from Swanson Tennis Center.